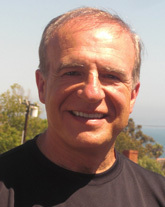 Lou Adler is the president of The Adler Group, an international training and consulting firm helping companies implement Performance-based Hiring. He is the Amazon best-seller author of Hire With Your Head (John Wiley & Sons, 3rd Edition, 2007), the Nightingale-Conant audio program Talent Rules! Using Performance-based Hiring to Hire Top Talent (2007) and The Essential Guide for Hiring & Getting Hired (Workbench 2013). Adler is a noted recruiting industry expert, international speaker, and columnist for a number of major recruiting and HR organization sites including SHRM, HRPA, SMA, ERE, LinkedIn, Kennedy Information and HR.com. He holds an MBA from UCLA and a BS in Engineering from Clarkson University.